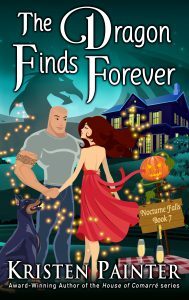 The Dragon Finds Forever is now live! I loved writing this book and I can’t wait to see what you guys think of it. I hope you enjoy Ivan and Monalisa’s story as much I did! They were a fun couple with some interesting challenges. And, as you may have noticed, this is the first Nocturne Falls book with a dog in it! ← How do you celebrate a day like this? With a giveaway!